It’s been quite cold here recently, even cold enough to freeze our chickens water dish! But yet I still find myself making smoothies (and perhaps adding a layer or two of warmth with a jacket or sweater while I indulge myself). This smoothie is so very delicious that I could drink it everyday! Coconut milk is blended with bananas, oranges and mango- an incredible mix of flavors. My husband made this up for us the other night and I told him that we needed to take a picture of it to put on my blog because it’s so good! It’s pretty sweet just from the fruit. In fact I think that this could easy qualify as a dessert. It’s also a great smoothie for this time of year because oranges are in season right now (and so holiday-ish) and mangos are in season on the other side of the world (this is when buying local isn’t an option). One other note, mango is one of few fruits that are low in pesticides. So if you can’t find it organic, then you will still be okay. I bought some frozen mango chunks at Trader Jo’s. Oh, and before I get to the recipe, don’t forget about the US Wellness giveaway. We have several other great giveaways in the works for later this week too, so stay tuned! 1 1/2 cups of full fat coconut milk (while coconut milk goes well with tropical fruit, I am sure you could use yogurt, milk, or kefir too). Add all to a blender, stopping to scrape down the sides if needed, until you have a smooth and delicious treat. Add a little fresh ginger and it could be a dairy-free mango lassi, one of my favorite cold creamy treats! I agree that coconut milk pairs beautifully with tropical fruit. This looks fabulous – and I love our presentation. I adore my mason jars and use them for so many different things. Adding nuts is a great idea! I am so glad that it turned out well for you! Add 3-4 eggs to this and bake. Should make a delicious souffle/custard. I would LOVE to have a Vitamix or a Blendtec, but I just have a cheap Oster blender. 🙂 It’s worked well for us, but is very loud. My mother in law was just given a Blendtec and she loves it. She heard that many people preferred it to the Vitamixer, but I think either would be great. For what it’s worth, I have a Blendtec and I like it too. I picked up similar “vibes” about people preferring it to the Vitamix, plus it was less expensive. I ordered white because my other countertop appliances are white, and the blendtec is actually a kind of gray-ish white -it’s an ugly color, really. If I had another chance I’d definitely get black. But so far that’s really my only complaint, besides the noise. It’s definitely more versatile and powerful and the square shape is easier to clean than my Waring. If I wait too long to clean it, sometimes it takes a little extra work around the blade. But usually a quick blend with a drop of soap in water suffices. I honestly can’t imagine Kimi’s Oster or any other blender being louder than the Blendtec. But I guess I figure, how can you expect to practically be able to blend rocks, and it not be loud?! I think I would personally prefer a juicer or food processor for nut butters. The Blendtec is fine for the uses Sharon mentioned though, for both liquid and dry tasks, and has ample speed controls in addition to preprogrammed settings. The preprogrammed settings aren’t always “right on” for what I’m doing, but I still like having them, and if I run it through a second time, I’m usually good to go. Hope that helps some. What a helpful comment! Thanks! I had no idea that the blendtec was loud. Something to think about…..
We make those all the time here! DELICIOUS and refreshing. It is very good with some frozen pineapple thrown in too… totally tastes like ice cream! Just made this! Didn’t have oranges, so used o.j. concentrate instead, and also threw in some ice cubes. Delicious, and VERY rich and filling! Silly question, but did you actually peel the individual orange segments? Based on your directions I’m not sure if you just peeled the entire orange, or also the segments. Peeling the segments would be a hassle, but we also wouldn’t want chunks of orange skin in our smoothie! Thinly cut both ends off the orange, then cut it in half on the same plane as your end cuts … that is, don’t cut across those end cuts. Then cut the 2 halves in half so that you have 4 half circles, that is, cut in the opposite plane. Once you have those a grapefruit knife works great for cutting out that fibrous core and then for cutting the orange away from the skin. Then just dump it into your blender. I do this frequently and it is much simpler to do than it is to explain. It works very well for me and if the orange has a lot of seeds as mine do then it’s easy to eliminate them doing it this way. I found your blog the other day while looking for food items to make as christmas gifts. I’ve already found a few recipes I’d like to try (can’t wait to test the orange curd recipe). Thanks for the great ideas! Pretty picture – the striped straw looks so festive. I love smoothies so much I drink them year-round, too! Delish! I tried with with fresh coconut milk, a-mazing. I like to add wildcrafted golden berries (aka Incan berries) or organic goji berries to change it up and drink gulp gulp. I still have the taste of this delicious smoothie (made with raw milk) in my mouth..yum! 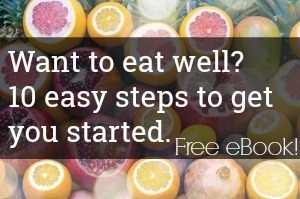 I really appreciate the fantastic variety of healthy recipes you offer, and the way you break them down into simple steps that are easy to follow. I have made (and loved) your crackers, sourdough bread and pancakes, and roasted chicken, among others! Since I was diagnosed with thyroid cancer 2 months ago, it has been a major turning point for me to pursue good eating habits on a consistent basis! (A blessing in disguise, maybe?!) Regardless of what course of action I end up taking regarding treatment, I know that by soaking grains and beans, buying the best ingredients possible and creating simple, nourishing meals like yours that I will be building my immune system and keeping my body as healthy and strong as possible. My 4 little ones and husband get this benefit as well 🙂 Thanks again for your valuable resource and best wishes for a blessed and Christ-centered Christmas! This is incredible!!! I just made it, and added some frozen pineapple chunks as well. Delicious!! Sounds so good! Another way to present it is to cut off one top of an orange, scoop out the flesh and use the empty orange rind for a serving cup. Pour smoothie in and enjoy! I have done this with vanilla ice cream/orange juice, it’s a treat for sure and one kids will love! I may make this tonight, thanks again! Hey there! I love your blog. I made this today and added some pineapple too & it was yummy! I think I am going to become addicted to smoothies!!! I am a newly almost empty nest mom who is just discovering how important our food really is to health. I am hoping to grow some veggies this summer. We always had a garden when I was a child. I am looking forward to bringing the tradition back.